The majority of companies within the Pharmaceutical Industry have large historical clinical databases, much of which may never be used beyond its original purpose: to prove that the drug in question is safe and efficacious. This historical data can be used to better inform future decisions in clinical trials. The use of large scale meta-analysis of placebo subjects gives the opportunity to explore the factors linked with occurrences of adverse events or the effect on safety parameters without the interaction of study drugs. This information can be used to influence future study designs by identifying appropriate covariates and underlying causes. It also has the potential to build a Bayesian prior for interpretation of clinical drug effects in small Phase 1 studies. Using this prior information can reduce the overall costs and improve the certainty of decisions made during early drug development. All examples given in this blog are on simulated data. 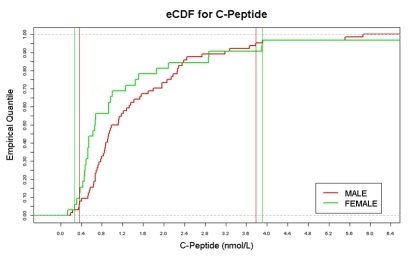 For tests where reference ranges are not available, placebo data gives information on the expected ranges with the ability to adjust for the effect of covariates, population structure and study type. An example is shown in Figure 1. Early stage clinical trial populations are different to the general population. 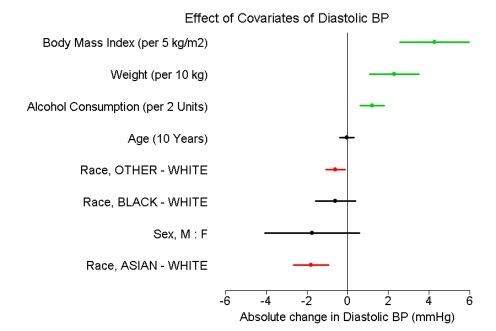 In Figure 2, the effect of different covariates fitted from a series of single factors models are estimated from the historical phase I population. Figure 2: Summary of six single factor covariate models for vital signs with 90% CI. Historical data can bring huge benefits when used in a Bayesian Analysis as prior information; reducing overall costs and improving the certainty of decisions made during drug development. Adverse event data can be used to create predictive distributions to give information on the expected rates of AEs within a new study. 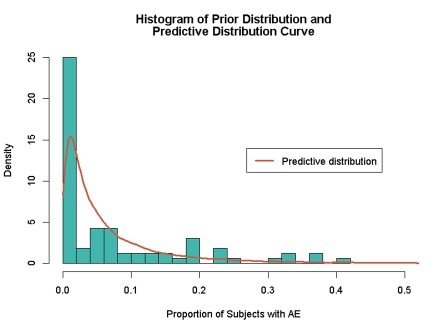 Figure 3 gives a 95% credible interval of 0.2% to 24.8% for the proportion of subjects in any new trial having the AE of interest.